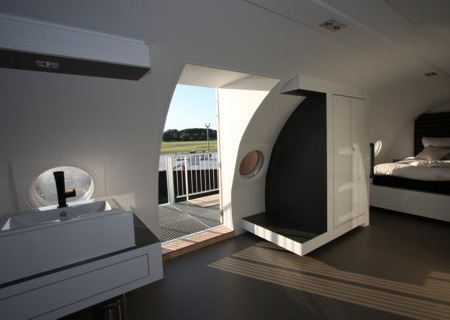 Cold War-era East German Airplane has been transformed into a luxury hotel suite that is now parked at the Teuge Airport in the Netherlands. 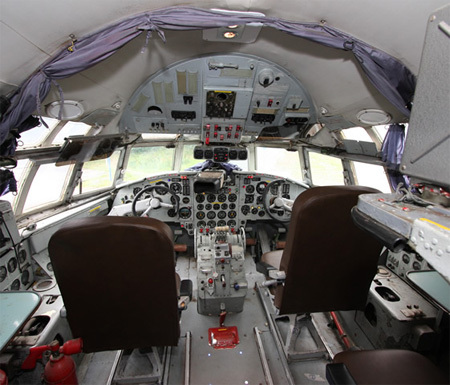 In addition to the Cold War-era cockpit, the suite includes 3 flat screen TVs, a sauna, 24/7 hostess, a jacuzzi, and a Blu-Ray player. Awesome! I’d love to stay there! dont see it good for environment! I’m sure they could of found a better way to recycle. 10 points if you can spot where this fist in. Who cares anyway? They bought the plane they can do whatever the hell they want with it. I think it was just meant to be fun, its a great idea I’d love to stay there. very clean layout in there, quite futuristic! 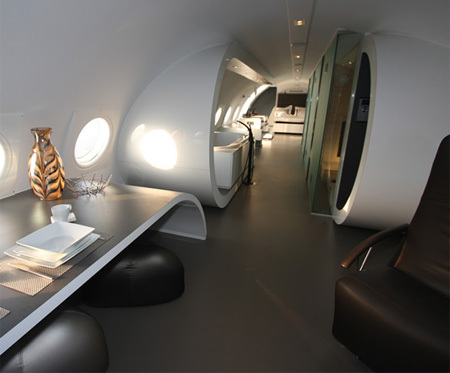 if only every plane looked like that inside! Nice, very stylish and futuristic. Looks more like a luxurious flat rather than a hotel. Anyway, looks great. 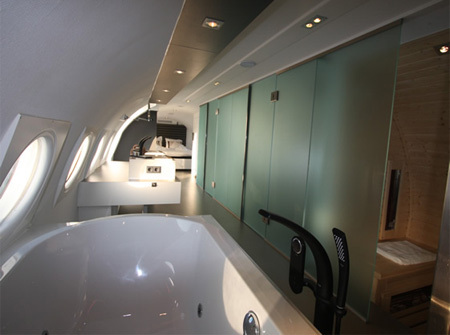 Would finally be able to join the Mile High Club in this plane !! And how much is a ticket!! Y r they building everything with people from dubai in mind!!! Fun idea. Go for it. Very cool and odd idea! 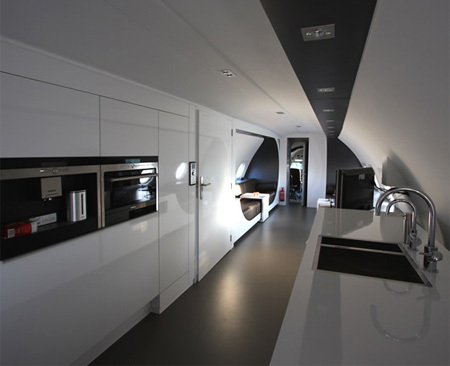 I love the design of the interior. 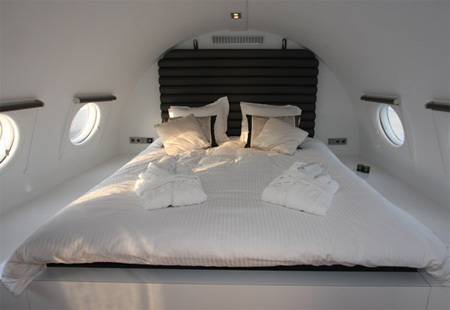 I am aware that this was published a long time ago but would you have the website for the airplane-hotel, or contact information?